It seems there could not be two professions with less in common. One sits in meetings and/or at a computer, conducting research, developing strategies, designing communications. The other runs into burning buildings, performs CPR and pries doors off crushed vehicles. But the two have more in common than you might think. 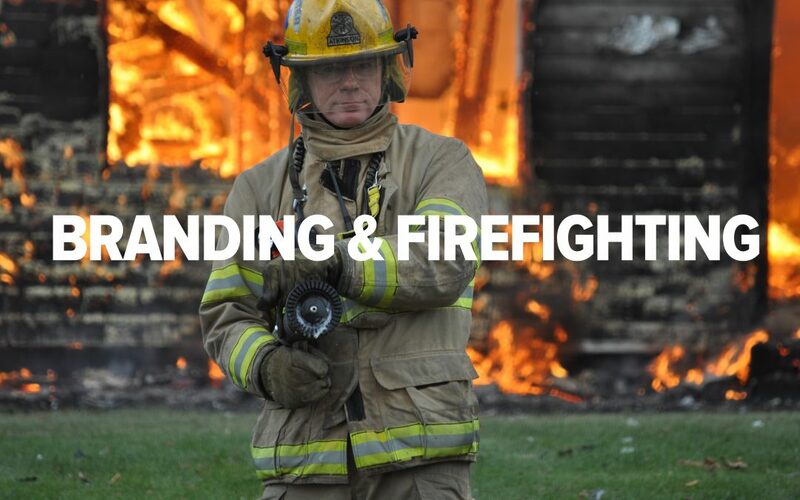 So, how does a 45-year old brand strategist choose to become a firefighter and EMT? 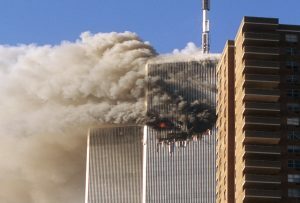 Like so many of us, I was profoundly affected by the events of September 11, 2001. I remember the shock, the anger, and the terrible sadness of it all. The feeling of helplessness was overwhelming and I remember thinking that if I had the skills, I could help somehow. But I was too old to join the military and I had a business to run. So I went back to doing what I do. As the months and years passed, I could not let go of the feeling that I needed to do more. 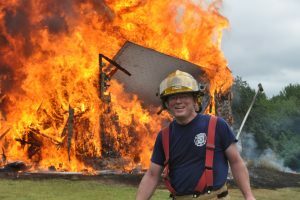 So, in 2003, at an age when many first responders are starting to think about retiring, I decided to become a firefighter. I knew the Chief in our small New Hampshire town from my time as the President of our local Little League, so I picked up the phone and told him that I wanted to volunteer. I was afraid that my offer would be met with a chuckle and a “thanks anyway”, but instead, he took me up on my offer. 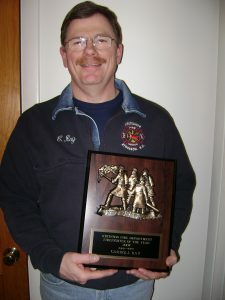 Eight months later, I was a graduate of the New Hampshire Fire Academy and a newly-minted probie on the Atkinson Fire Department. Most of my brother and sister firefighters were tradesmen, ex-military or engineers. I stood out not only because of my age, but because of my profession. At first, I just looked at the duality of my existence as two different parts of the same whole. Over time, I started to see the parallels. Firefighting is not something you learn, then do. It’s a life of learning, of monthly classes to refresh old skills and learn new ones. It’s Saturday training burns to practice what to do at a structure fire. It’s ice rescue training on frozen ponds on dark February nights. It’s motor vehicle extrication training in the rain. 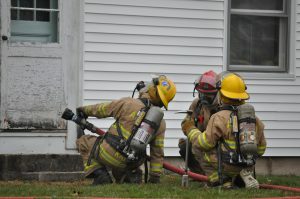 It’s learning to operate the new thermal imaging camera, or jaws-of-life, or the new pumper. It’s off-site training on ladder truck operations, and CDL driver/operator classes, and pump operations classes, and fire behavior classes, and wildfire training, and hazardous operations training. The learning never ends. It’s not unlike my career in branding and design where I must be continuously learning and growing. The changing landscape of corporate communication requires that I stay current on new tools and techniques—videos on branding trends, seminars on positioning, articles on brand successes and podcasts on brand failures. Social branding, design thinking, naming trends, sonic branding, brand alignment, social media strategies and trademark law. The landscape of corporate communication is ever-changing and like my career in firefighting, the learning never ends. After a year as a firefighter in our town, I learned that there were far more opportunities to be helpful if I were also an Emergency Medical Technician. So back to school I went to begin my medical training, learning everything from the basics of anatomy and to the management of severe trauma, reading EKGs, cardiac resuscitation, managing diabetic emergencies, and so much more. The EMT is the ultimate generalist, knowing a little bit about everything. And with continuous education, training and practice, I continued to add to my skill-sets to increase my value to my patients. My career as a communicator has followed a similar path. Trained as a graphic designer in the days of offset printing, I found as time went on that there was so much more I could do to help my clients. I took my skills as a visual designer, and expanded upon them to become a more complete communicator. I learned website design, refined my writing skills, learned about video production, learned about branding principles and strategies. To this day, I continue to add to my overall skill-set to increase my value to my clients. As a first responder at a motor vehicle accident, I was often the first person the driver saw as the smoke cleared from their airbag deployment as they anxiously tried to regain their senses. Of all the skills that I needed to have in those moments, the ability to reassure that individual was probably the most valuable. In their confusion, pain and fear, they needed to know that I was there and that I had the knowledge, skill and experience to get them out of this mess. Though less bloody, corporations often consider rebranding because a major event has shaken up the company—a merger, an acquisition, a corporate restructure or emergence from bankruptcy. When the smoke clears and I arrive as the brand strategist, my clients have many of the same questions as those accident victims. Are we going to be alright? What should we do next? And do I have the knowledge, skills and experience to guide them through this mess? Arriving on-scene at any emergency, you must first size up the situation because you never know exactly what you’re walking into. What was toned out as a slip and fall turns out to be a full cardiac arrest. The chimney fire turns out to be a fully involved structure fire. The unconscious patient that was reported to be receiving CPR is actually lying on their side wedged between the bed and the wall. The Do Not Resuscitate order that is needed is in the daughter’s apartment 15 miles away. Family members may or may not be there, and they may or may not give you accurate information. 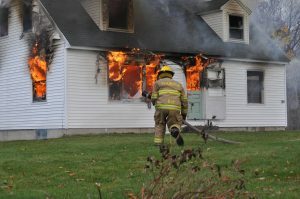 As a first responder, you must assess the situation, learning all you can from available sources, and then take the course of action which will lead to the best possible outcome. In branding, the situation that’s described at the outset often turns out to be quite different than what we find after completing our discovery. We must take all available information into account, yet maintain our objectivity so that we are not blinded to other factors that may be affecting the brand. So the original re-naming project may in fact turn out to be much more, or much less than was originally thought, and it’s my role to recommend the course of action that will lead to the best possible outcome. In my time in fire and EMS, I found the most important quality to possess was empathy. I was the EMT on one knee so the patient could look directly into my eyes as we assessed their heart rhythm. I was happy to crawl through a shredded vehicle to be that friendly face who would reassure the driver that help was on the way. I tried always think about what I would need most if I were in their shoes. I wanted them to know that I would take care of them—whether to stop the bleeding, or get them to a hospital, or simply to find their phone somewhere in that mangled mess. They needed to know that I cared about their concerns. I speak often about the importance of empathy in branding. It’s critically important that we understand the customer and consider the context in which they will experience your brand. Unless you can see your brand through your customers’ eyes, you will forever be communicating what you want to say rather than what they need to hear. In addition, I need to have empathy for my clients who have budget pressures, deadlines and countless internal factors to manage. The customer has to know that you care about their concerns and my clients need to know that I care about their concerns. No matter how much time you spend perfecting your firefighting and EMS skills, nearly every incident requires you to call upon other resources. Hazardous materials teams. Confined space rescue teams. Mutual aid from neighboring towns. Poison control. Police. Utility companies. Red Cross. 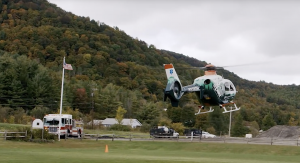 Med Flight. Managing an emergency scene is about understanding what resources you have on hand, and which additional resources will be needed to resolve the situation. My professional work also requires a wide range of skills. From brand strategy to messaging and design. From corporate identity to print design. From web design to motion graphics. From exhibit design to video production. But as with emergency scenes, managing a brand is about understanding what resources you have on hand, and which additional resources will be needed to resolve the situation. I retired from the Atkinson Fire Department in 2018 but continue in the hazardous career of branding and design. I will never forget the experiences I had in the fire service, nor will I forget the brave men and women with whom I served. But my lasting memory is the one last parallel between my two careers—it is the memory of the people that I’ve helped and of the gratitude that they’ve expressed for my efforts.